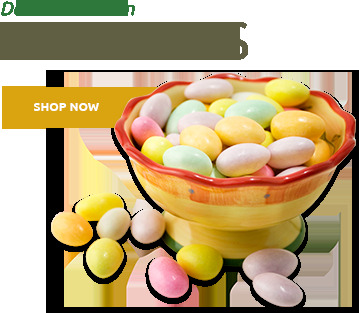 Looking for Nut Gift Baskets that are a delight to behold and even more fun to eat? Then you've come to the right place. 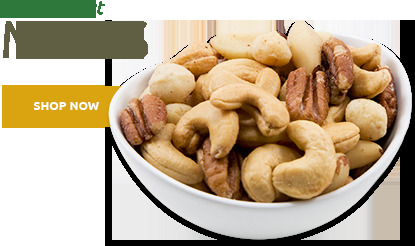 Nuts and fancy dried fruits are simple, high quality ingredients that we take to extraordinary heights. Try one. 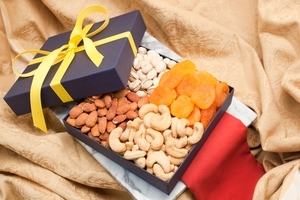 It does not get more impressive than a Fruit and Nut Gift combo from the Superior Nut Store. 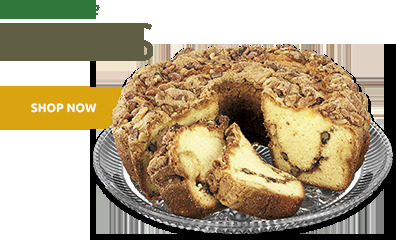 These gift trays and baskets make a perfect shower gift, celebration of a corporate milestone, or a yummy way to say welcome home. 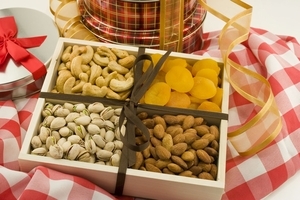 The Fruit and Nut Gourmet Gift Box is truly something special. 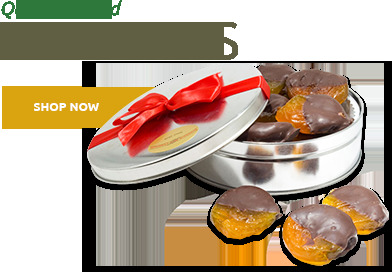 It's a great gift for the chocolate lovers on your list with its Giant Whole Cashews, chewy Meduri Cinnamon Infused Apple slices, rich velvety Dark Chocolate Covered Cherries and sweet Tiramisu Cordials. You can even color customize the box ribbon. 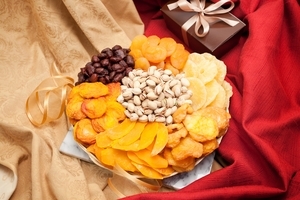 Whether it's the delicious Deluxe Fruit & Nut Gift Tray, or the heavenly All Natural Nut Gift Basket (available in delectable 2 pound and 3.5 pound sizes), we aim to please. 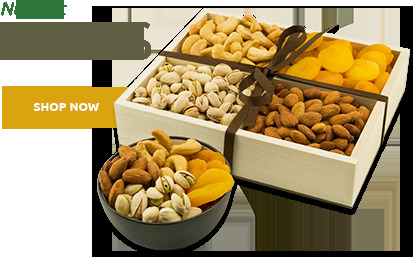 Crunchy Colossal Pistachios, Jumbo California Almonds, Giant Cashews, Dried Fancy Apricots, and Extra Fancy Pears and Nectarines, all come together to make the most delightful Fruit and Nut Gifts available anywhere. 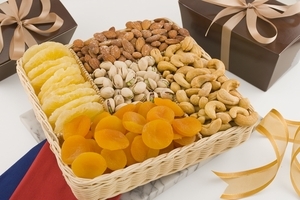 Each exquisite Nut Gift Basket is filled to the brim with crispy nuts like luscious California Walnuts and Almonds, or chewy dried fruit like Mangoes and Pineapples, and then packaged in lovely decorative baskets. 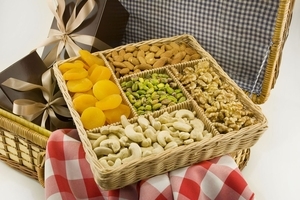 These incredibly delicious Nut Gift Baskets Nut Gift Baskets are ready to serve the happiest people you will ever meet.